Sally Fallon Morell is the founding president of the Weston A. Price Foundation and author of the best-selling cookbook, Nourishing Traditions. Her other titles include The Nourishing Traditions Book of Baby & Child Care, Nourishing Broth, and Nourishing Fats. 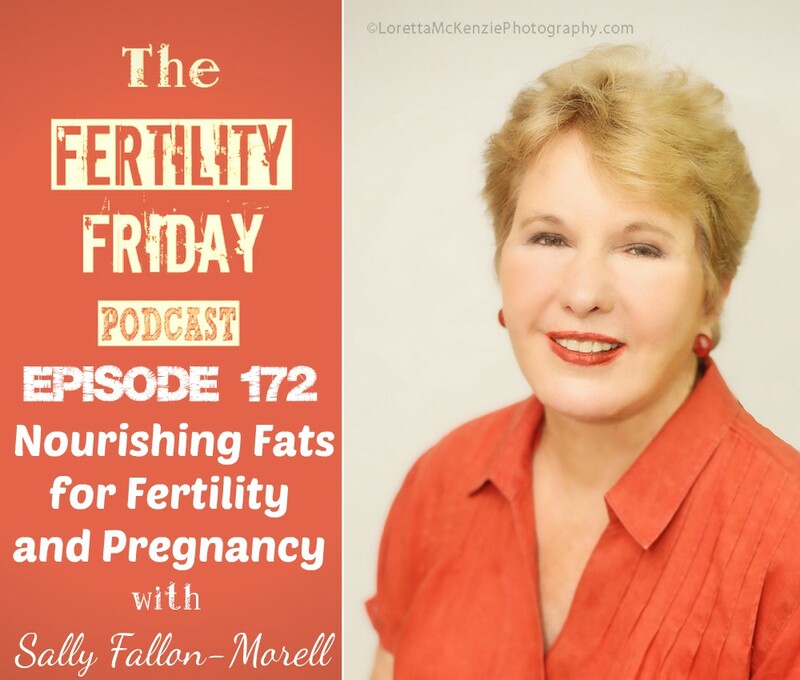 In today’s episode, we talk about animal fats, and why they are necessary for optimizing your fertility & ensuring you have a healthy pregnancy. What is cholesterol, and is it really bad for your health? Are animal fats a source of nutrition? What is the difference between animal fats and plant fats? Can you get Vitamin A (retinol) from carrots and other vegetables? What role does Vitamin A play in fertility and pregnancy? Could Vitamin A deficiency play a role in endometriosis? Are plant and animal sources of omega 3 fatty acids the same? You can connect with Sally on her Website, and on Facebook and Twitter. Baptists Ladies’ Cook Book: Choice and Tested Recipes Contributed by the Ladies of Monmouth, Ill.